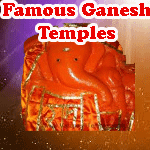 23 Famous Ganesh Temples, know about world famous divine ganesh temples. Shree ganesh is worshipped first as per beliefs of hindus and it is also belived that lord ganesha is able to remove big problems easily and so he is also called "Vighn harta". Although ganesh temples are easily available every where in India but in this article we will know about 23 world famous ganesh temples as per epics. These famous ganesha places are present in different parts in world. Omkar Ganpati is worshipped at Prayag, Illahabad. Dhundiraaj Ganesh is worshipped in Kaashi, Varanasi. Chintamani Ganesh is worshipped in Kalamb, baraar near yawatmaal. Chintaman ganesh is worshpped in Ujjain. 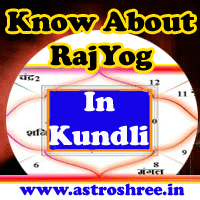 Khajrana ganesh temple in Indore is also very famous now a days. Mayureshwar ganesha is worshipped in Moreswar, near Pune. Shiv ganesha is worshipped rajangaanw, pune. Parwati ganesha is worshipped in sahayadri, pune, maharashtra. Laksh vinayak is worshipped in belaur, elora, aurangabad. Shami ganesha is worshipped in Adosh, Samner, near nagpur. Mangal murti ganesha is worshipped in Parineer, bank of river narmada. Bhalchandra ganpati is worshipped at gangamasle, manmaad, maharastra. Vigyaan ganesha is worshipped at rakshasbhuwan, godawari bank. Bhrama ganesha is worshipped in yengar, near pune. Vishnu Ganesha is worshipped in siddhtek, borivali, mumbai. Ganpati is worshipped in vijaypur, madraas. Sudha ganesh is worshipped in kumbhkonam, near bank of kaveri. Kashyap ganpati is worshipped in kashyapaashram. Tripur ganesha is worshipped jaleshpur. Shastrarjun ganesha is worshipped in padmaalay, near bhusawal. Vallal vinayak is worshipped in paali, Sindh prant. Ashapurak ganesha is worshipped in vamalgaanw, manmaad, near jaalnaa. Geeta ganesh is worshipped in rajur, rajsadan area, jaalna. The above ganesha temples are very famous and it is believed that prayers in these temples are heard very fast and devotees feel the divine energy of ganesha in these temples daily, every time. Thousands of people daily visit these temples to seek blessings of lord ganesha.